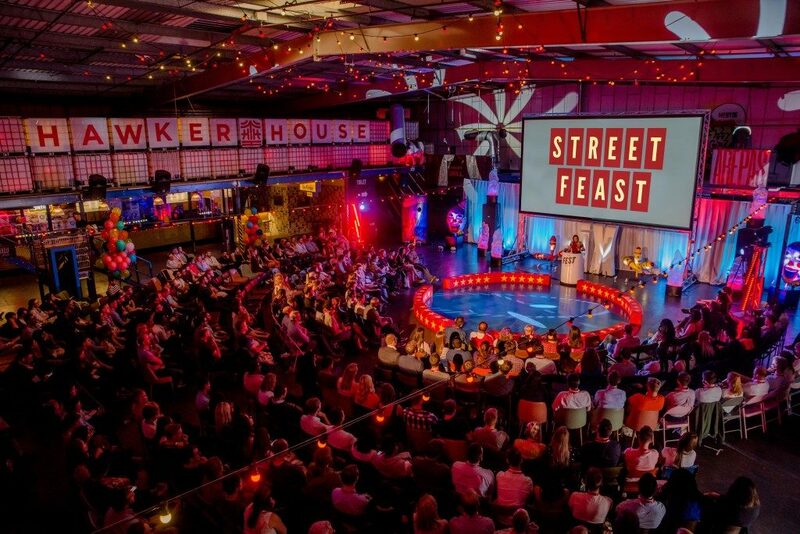 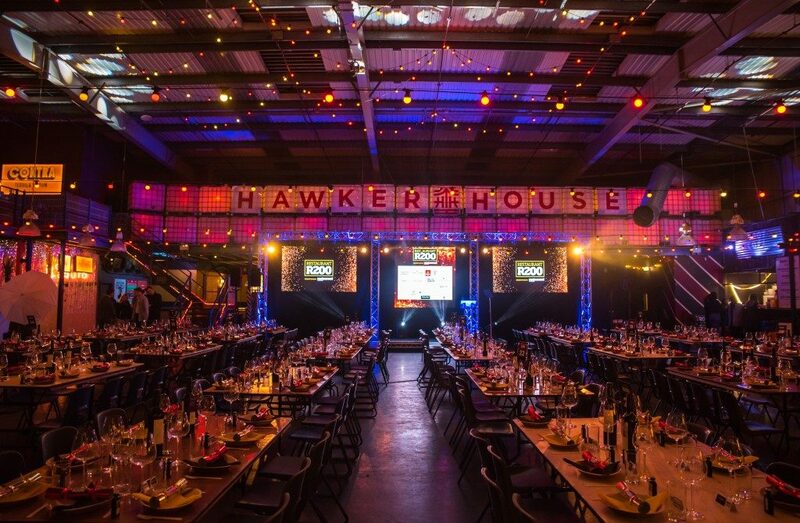 If you’re on the lookout for a large-scale, urban and funky indoor food and drink venue, then Hawker House is a stunning London event space which is sure to impress and amaze. 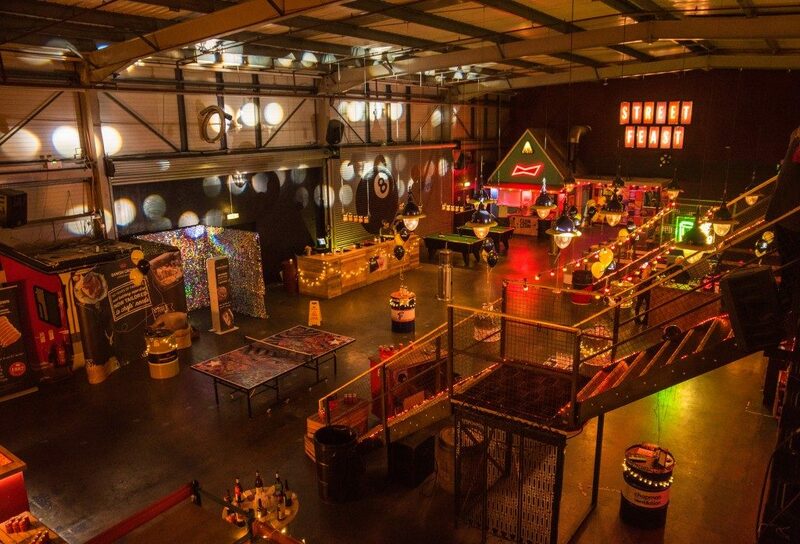 Open all year round, this night arena is an impeccable example of what London’s event scene does so well, and it’s one which your guests will find impossible to resist. 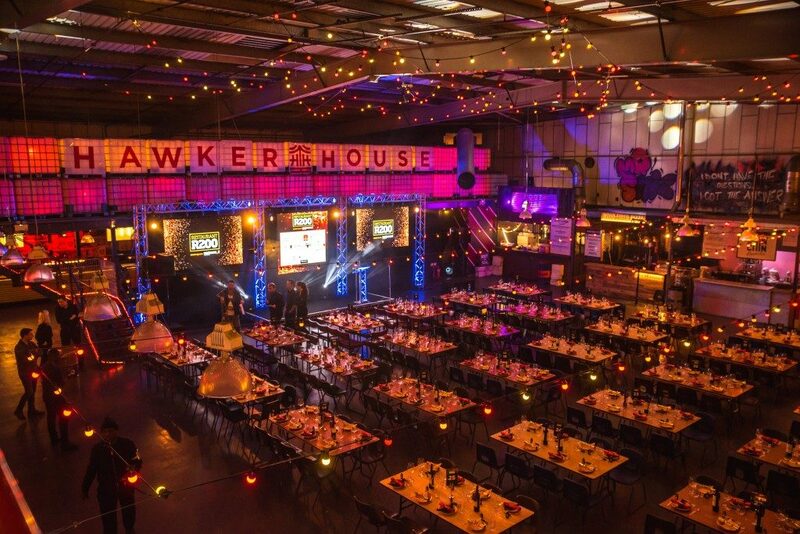 Located in Canada Water is our huge indoor food and drink warehouse, Hawker House. 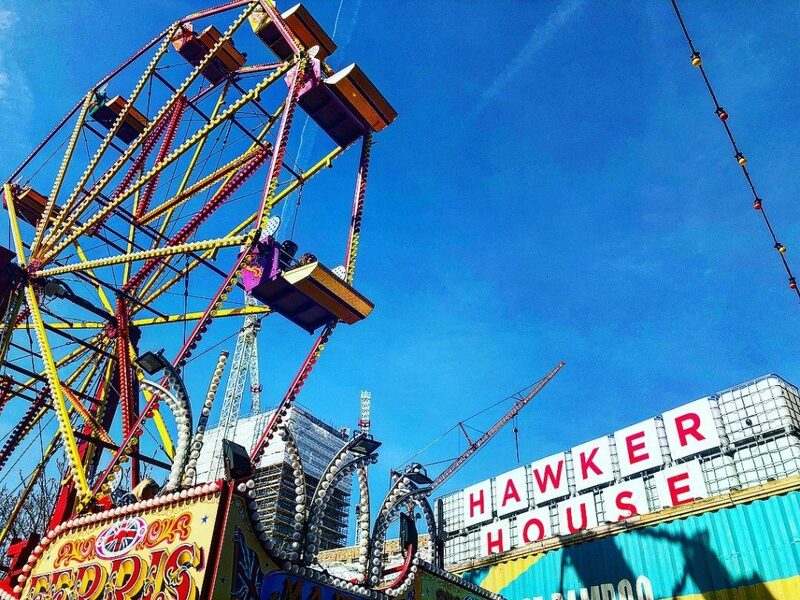 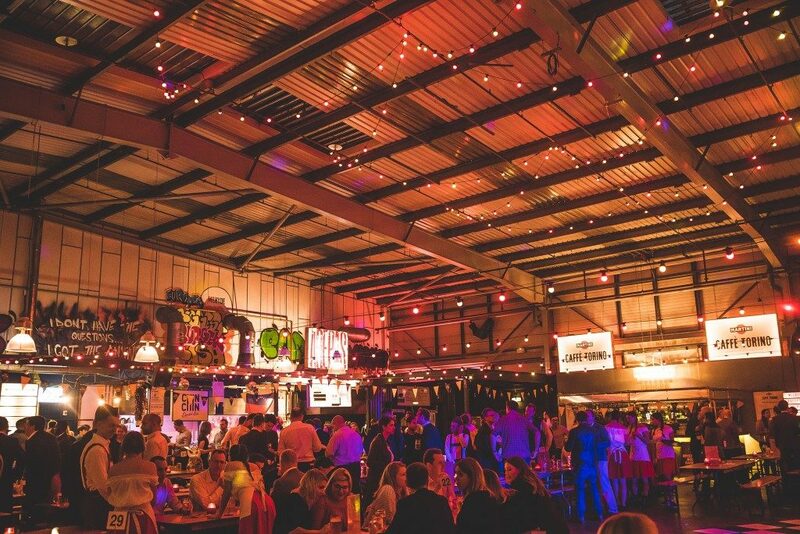 Hawker House hosts 10 amazing bars and 15 street food vendors, with optional pool and beer pong tables. 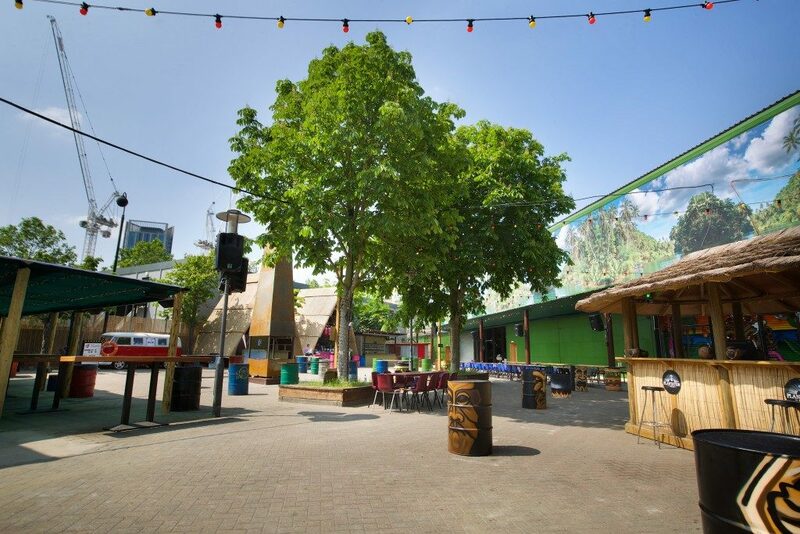 In the winter the venue can host up to 2,000 people, and in summer when they open their outside area, the Land of Bamboo – a tropical tiki paradise, it takes the capacity up to 3,000 people. 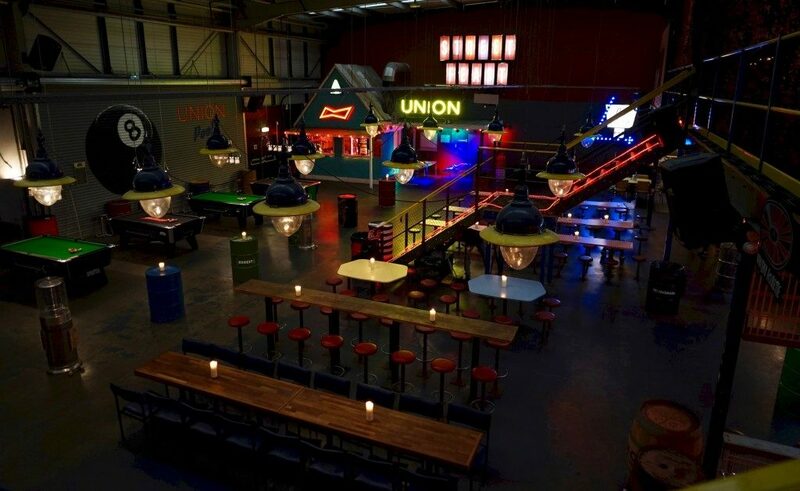 The venue can be split into two spaces to cater for smaller groups of 200 or more. 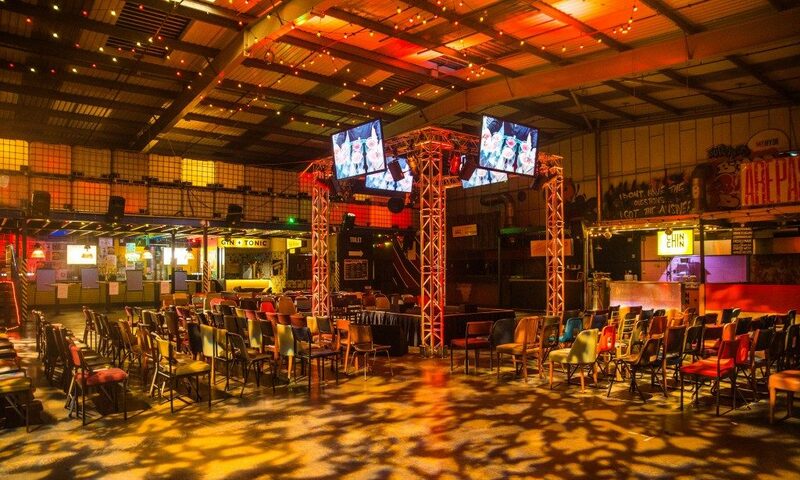 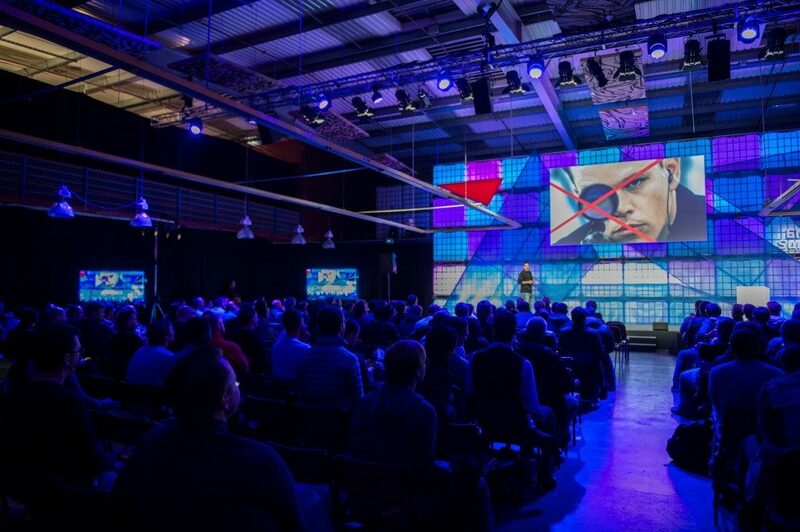 The venue is versatile to host a range of events including, conferences, exhibitions, awards ceremonies, product launches and parties. 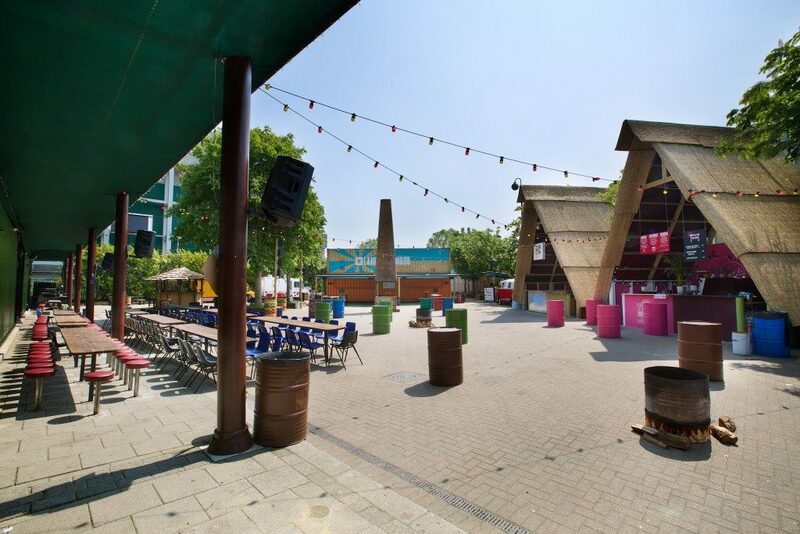 The venue is conveniently located just a short walk from Canada Water Overground and Underground Station.